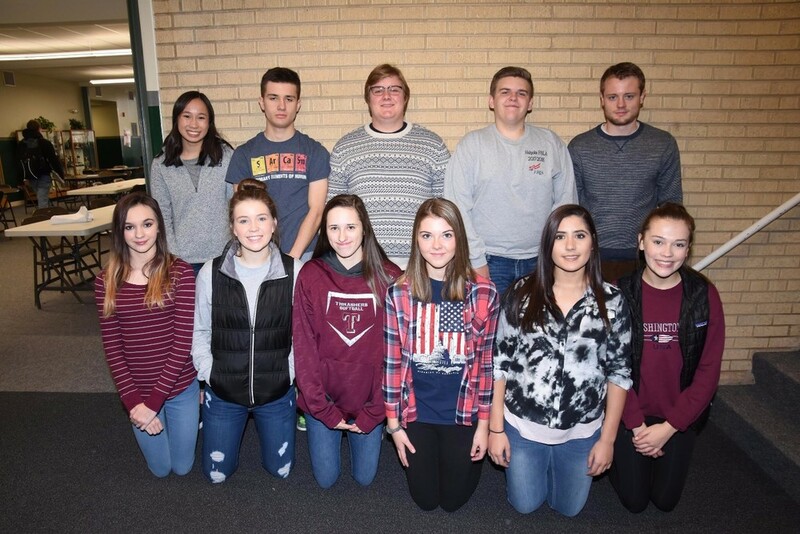 Many high school students participated in the Knowledge Bowl competition that was hosted by Holyoke on Wednesday, November 29. Teams from Yuma, Wray, Fleming, and Akron all came to the school and competed against each other. After one written and five oral rounds, Akron team 1 came out on top. Holyoke team 1 came in a close second, and Akron team 2 finished in 3rd place. Team 1 members for Holyoke were Luke Krogmeier, Drew Stewart, Anna Jelden, and Jarrett Woodhead. Holyoke students who competed but did not place were Ty Lamm, Haley Van Overbeke, Rylee Schneller, Kylie Purkeypile, Amy Mackay, Ashlyn Marcum, and Emali Torres. The competition was a whole lot of fun for all students, as even those who didn't place enjoyed the unique experience. We are all looking forward to the next competition.